What does this logo mean? 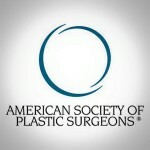 It’s the American Society of Plastic Surgeons (ASPS®) logo. When you choose a doctor who is a member of the American Society of Plastic Surgeons, you can rest assured that your surgeon is qualified to perform your surgery. Dr. Perez is a member of the ASPS! ASAPS membership remains an exclusive privilege for surgeons who possess the necessary qualifications. Only about one-quarter of all American Board of Plastic Surgery certified surgeons have been accepted as ASAPS members. Physicians who have been trained in specialties other than plastic surgery are not eligible for ASAPS membership. Be certified by the American Board of Plastic Surgery, or certified in plastic surgery by the Royal College of Physicians and Surgeons of Canada. Plastic surgeons who are not citizens of the United States or Canada who meet the high professional and ethical standards required for Aesthetic Society membership may become ASAPS International Active Members. Participate in accredited Continuing Medical Education (CME) programs to stay current with developments in the field of cosmetic plastic surgery. Document the performance of a significant number and variety of cosmetic surgical cases to demonstrate a wide range of experience. Be sponsored by two ASAPS-members to ensure that the applicant’s professional reputation meets the high standards required by The Aesthetic Society. Adhere to current ethical standards for professional conduct as outlined by the Society’s Bylaws, Code of Ethics, and Conflict of Interest Policy observed by all ASAPS member surgeons.